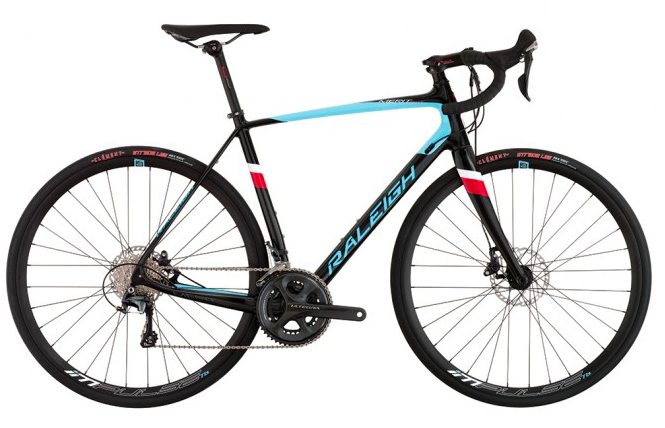 Raleigh's Merit Elite was featured in Velonews' 2016 Buyer's Guide. The Merit Elite uses a Shimano Ultegra drivetrain, hydraulic disc brakes and Weinmann wheels, making it a versatile bike that can handle everything from detours on dirt paths to weekend group rides. Editor's Quote: "It's clear Raleigh made versatility top priority when designing the Merit." To view the online feature, click here. To view the print feature, click here. To view the Merit Elite, click here.